When asking for the perfect kind of handling there is a simple answer: VacuPowerlift – the intelligent, comfortable and user-friendly solution for almost any task. With the tube lifter you kill two birds with one stone. 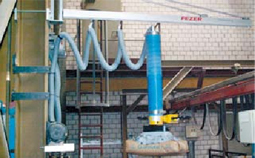 Because only one medium is required for gripping and lifting – vacuum. 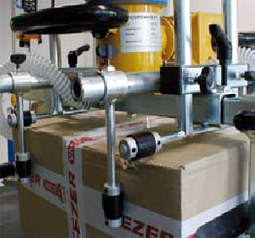 Vacuum Tube lifter for Quick & Safe Handling of Boxes, Panels, Doors, Drums Etc. 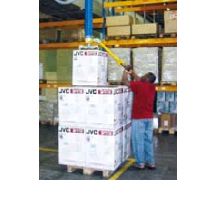 The VacuPowerlift is a closed system and does not require additional safety features, like electric safety units etc. 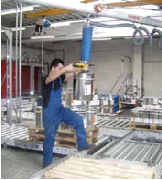 The relation of suction area/lifting tube guarantees that the loads are held in place by the suc- tion foot. Even should a power failure occur, In that case a non-return valve makes sure that the load is lowered to the floor in a safe and controlled way before the suction foot disengages. 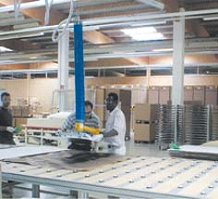 Our highest goal when developing our lifter series was the well-being of the employee at his workplace. The simple and ergonomic alignment of the operation elements and the low-noise blowers ensure that even lifting heavy weights can be fun! 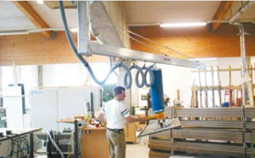 Vacuum Lifter Lifting Chipboard & MDF etc. 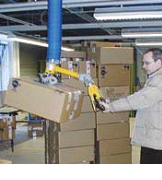 Vacuum Lifter Lifting 8 x 4 Sheets of Chipboard & MDF etc. 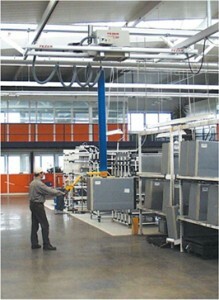 The clever modular system allows that the VacuPowerlift is easily adaptable to different requirements. 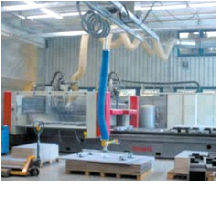 There is a large variety of suction feet for all kinds of work pieces. 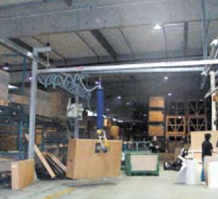 A wide range of accessories and options like extensions to the control housing, turning and swivel features and special applications provide almost limitless application areas.